Perched at an altitude of 13200ft on the Chandrashile (moon rock) of the North-East Sikkim is an isolated place that seems to be the alluring abode of God called Chopta Valley. 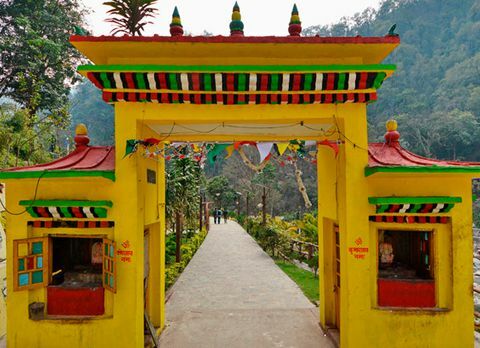 The relatively unexplored and untouched Chopta Valley in north east Sikkim is very popular among trekkers as well as people of several faiths for housing some of the sacred monuments of Sikkim. Located on the way to Gurudongmar Lake, Chopta valley also known as the valley of flowers offers the tourist with the visual treat of meandering rivers stream through the mountainous valley of alpine forest on one side and panoramic vista of snow-covered mountain peaks on the other making Chopta Valley a must visit tourist destination of North Sikkim. 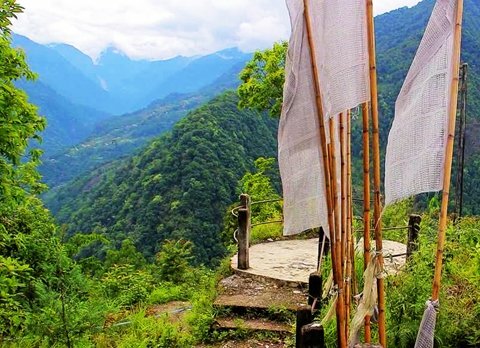 Located 17km from Lachen, the starting point for some of the most interesting treks in North Sikkim as well as the gateway to the holy Gurudongmar and Tso Lhamu lakes, Chopta Valley is the summer residence of the Lachenpas. 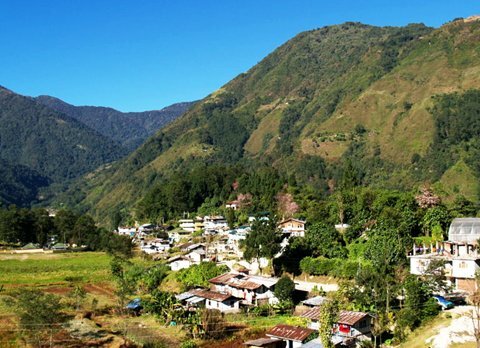 The northern district of Sikkim is known for the Himalayan flora amidst the rugged terrain and glacial lakes. 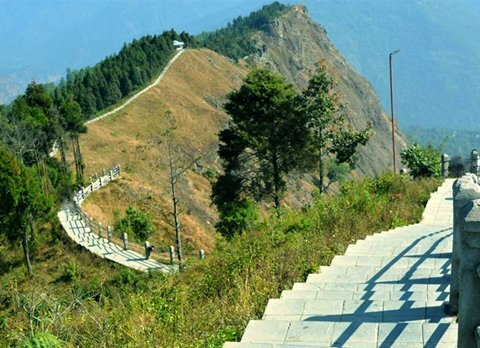 Chopta Valley has ensnared the heart of many tourists traveling to the Northern Region of Sikkim as Chopta Valley offers the last patch of green vegetation before the landscape changes into the cold deserted rugged terrain. 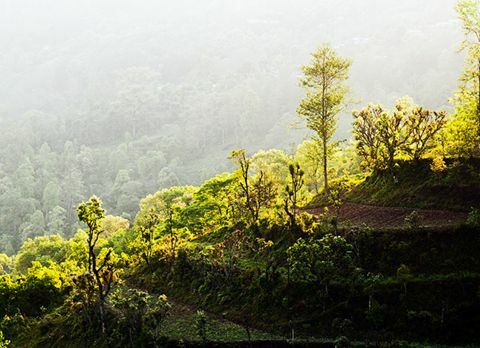 The journey towards Chopta Valley is an unforgettable experience which is filled with the scenic view of the changing landscape and vegetation on a spiraling unpaved road. 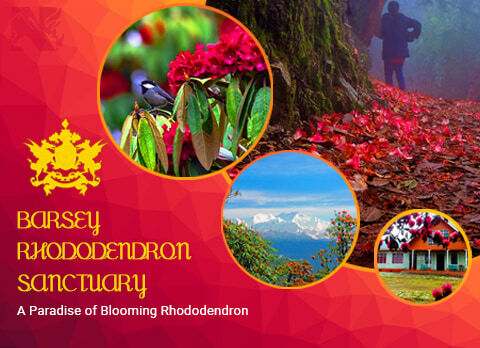 During the spring season when the weather remains pleasant Chopta Valley is covered with the numerous exquisite Himalayan flowers and rhododendron which glazes the Chopta Valley with different shades of red. But during winter the land of Chopta Valley which once was the concealed beneath the vibrant color riot of the blooming flowers and rhododendron, hides under the thick blanket of snow turning Chopta Valley in winter wonderland. The unique location of Chopta Valley amidst the mountainous gorge is dotted with the trekking through the alpine forest of conifer and pine trees attracting trekkers and adventurer from around the globe. 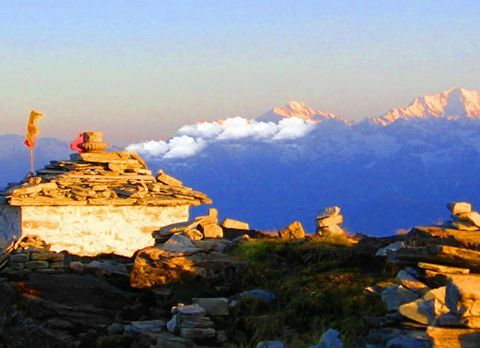 The famous trekking trail from Chopta Valley is towards Gurudongmar Lake, a sacred glacial lake which was blessed by the Buddhist Guru Padmasambava also known as Guru Rinpoche, founder of Tibetan Buddhism and after being blessed a certain protein of lake never freezes even in the extreme cold weather. 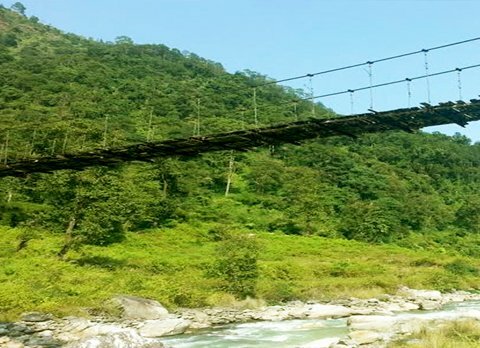 The pictorial view and trekking trails towards the most scenically blessed place has made Chopta valley a must visit tourist destination for the nature lover and adventurer traveling to Sikkim. Feast your eyes with the panoramic view of the snow capped mountains of might Himalayas while inflating with the fresh mountain air, far from the maddening crowd and hassle of daily life Chopta valley of the North east region of Sikkim has become the sojourn for the tourist who want to engulf their senses with the surreal Himalayan beauty. 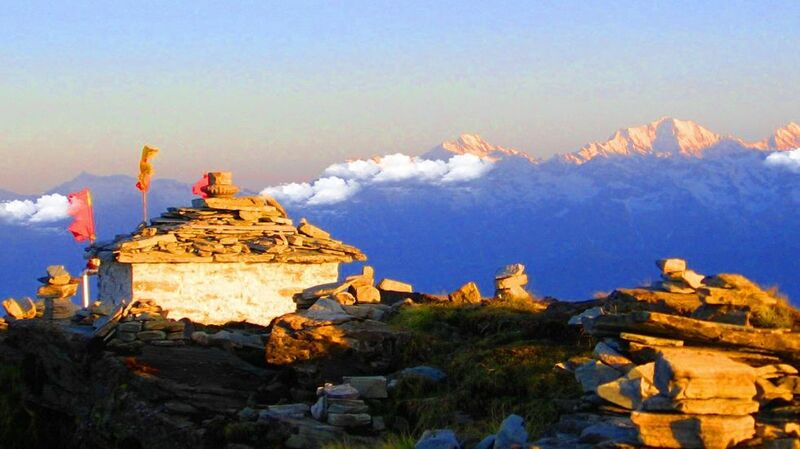 Trek towards one of the highest altitude lakes or enjoy the panoramic vista of snow capped mountain from Chopta Valley. 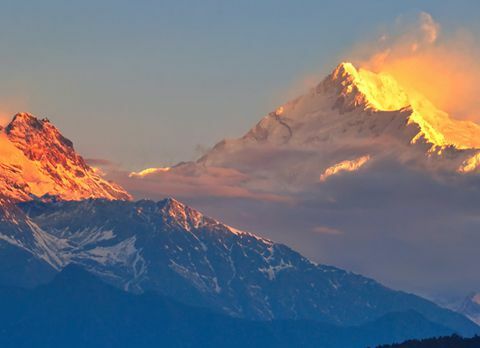 The beauty of Chopta Valley never cease to amaze its visitor, be it in summer season April to May when the valley comes alive after being covered with different flora of Himalayan region or during winter season mid October to December when they can feast their eyes with the outstanding vista of snow peaked mountains of Himalayan range from Chopta Valley. 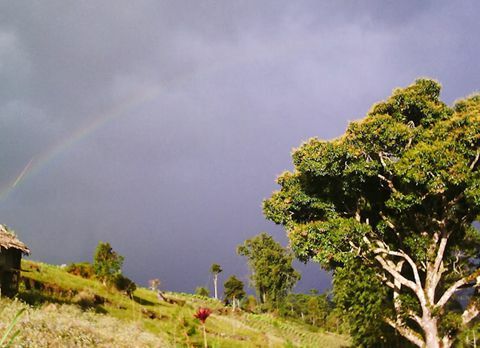 It is best to avoid traveling during monsoon season mid June to mid September since the road of hilly region becomes more prone to landslide after a heavy rainfall.